I’ve just switched from Deepin to KDE but i’ve a little problem after install. how do you manage to switch to KDE? Do you remove configurations? it is may needed on Firefox and also the qt settings, as deepin make use of qt also… may something screwed up. Just look in your system apps, Deepin file manager must be in there, next to Dolphin. If so remove it manually. How do i do that bro? 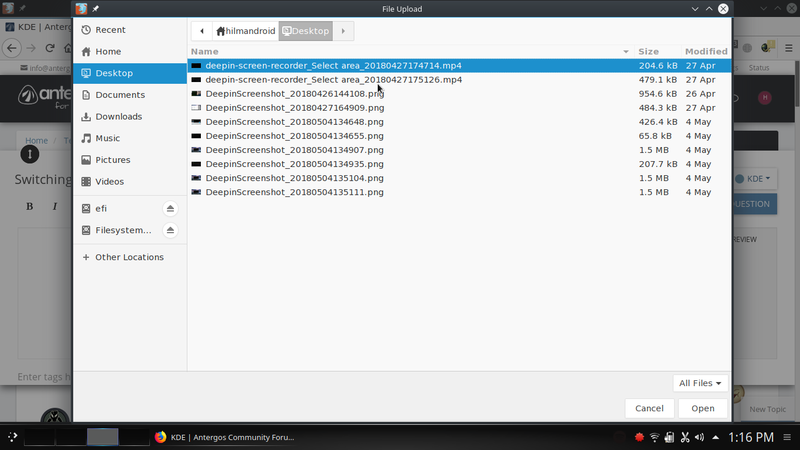 The easiest way to check is: open pamac, type in the searchbar deepin-filemanager, uncheck the box and hit apply. Use System Settings from application menu. Then scroll and click on Applications in the Personalisation subsection in left pane. Seems like it’s caused by firefox using GTK file chooser, not like chromium.